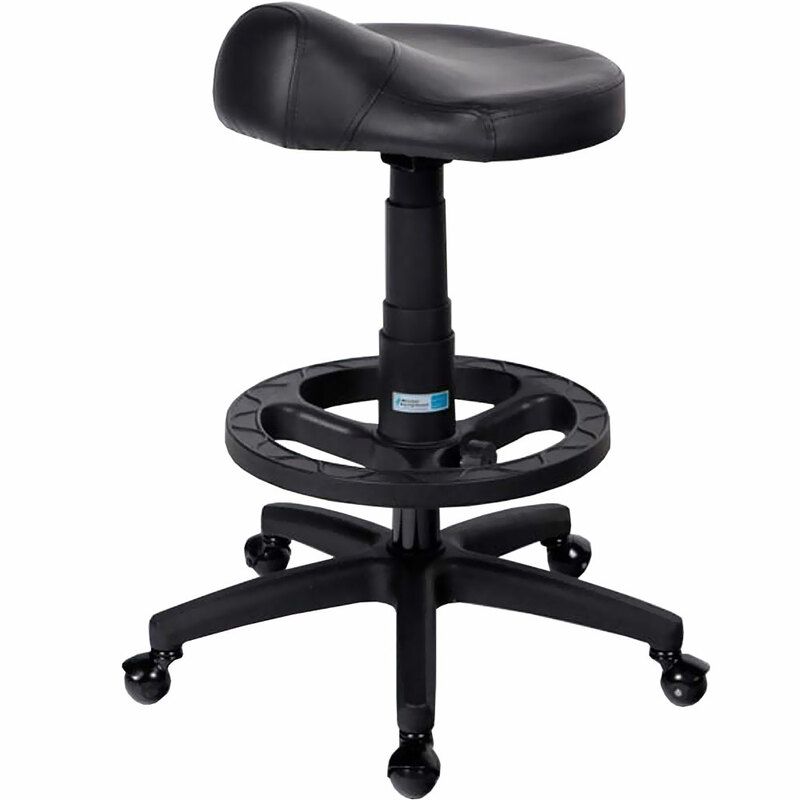 The comfortable Master Equipment™ Ergonomic Grooming Stools have saddle horn-style seats to offer support while keeping your legs correctly positioned for less fatigue and discomfort. Sit in comfort while you groom to save your back and feet from excess strain. 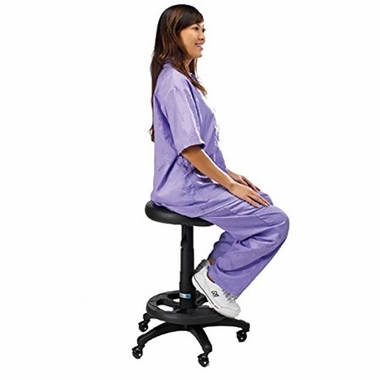 Size: 17½", seat diameter: 15¼", seat height: 23" to 30½" Wheel base: 22" and the footrest diameter is 15"